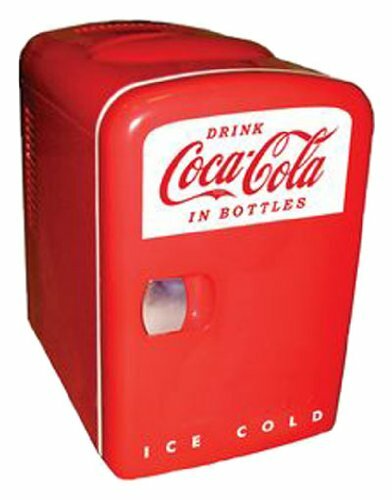 Koolatron coca cola fridge is collector's favorite. It is great for offices, dorms, kitchen, living room, anywhere as you may like to carry. Koolatron coca cola fridge cools up to 32-degrees below ambient temperature. Koolatron coca cola fridge has 4-liter capacity, holds 6 (12-ounce) cans. Self-locking recessed door handle. Note:Not recommended for medical applications.